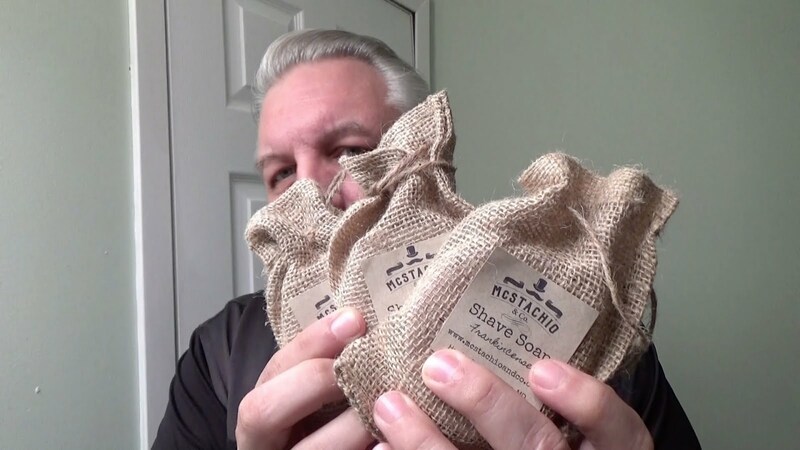 Website - Mcstachio & Co.
I’ve been reviewing shaving products for over a year now and in that time I’ve come across a few gems one of them is Jeannie and Alexander McGeehan the owners of Mcstachio & Co. pronounced Mick-stash-ee-o a husband and wife team from Baltimore, MD. Jeannie’s motivation for creating shaving products came from her husband's love for straight razor shaving. He became disappointed in what was commercially available so Jeannie stepped in and after some research wiped up some shaving cream for him. About the same time Alex discovered his skin’s intolerance of traditional oil and wax based grooming product so Jeannie started developing oil-free alternatives for him and formulated a solid shave soap that was oil-free which could deliver the same level of lather and lubrication without any greasy after feel. Now as wet shavers we get to experience these great shaving products as well. I was sent one bottle of beard & face conditioner along with three shaving soaps. Sandalwood, Desert Rain and Frankincense which is what this review will be based on. All the soaps came in their own burlap drawstring bags. I really like the burlap look you can identify the scents without even opening them it also provides a great way for the soap to breath after use. I normally bowl lather and this day was no exception. I found no reason for blooming since I was able to scrape off as much soap as I needed and had no issues placing inside the bowl. I used my Zen Shave brush ran it under warm water then emptied the contents right in the bowl and began to lather. During this time the scent was still faint but in less than a minute I started to really get some suds going and then peaks started to appear in about two minutes a metamorphoses accrued. It went from a soapy suds to this amazing rich, thick, creamy lather that you must experience for yourself. My brush was so full that I almost couldn’t see its handle. I was able to completely cover my 5-day old bread which disappeared into the thick lather. During the shave my Razorock German 37 slant was able to glide over my face with ease making the slickness and glide top notch and causing no irritations. After the shave I tried the Beard & Face conditioner as an aftershave balm. It provided a nice ending to the shave although being unscented I still enjoyed its fragrance. Sadly, after the shave I couldn’t detect the scent of the soap it was still very faint but maybe an after shave would remedy this. Needless to say the shave was close to perfect and the soaps only flaw would be for those who prefer a stronger scent. If you happen to fall into this category don’t let that put you off.